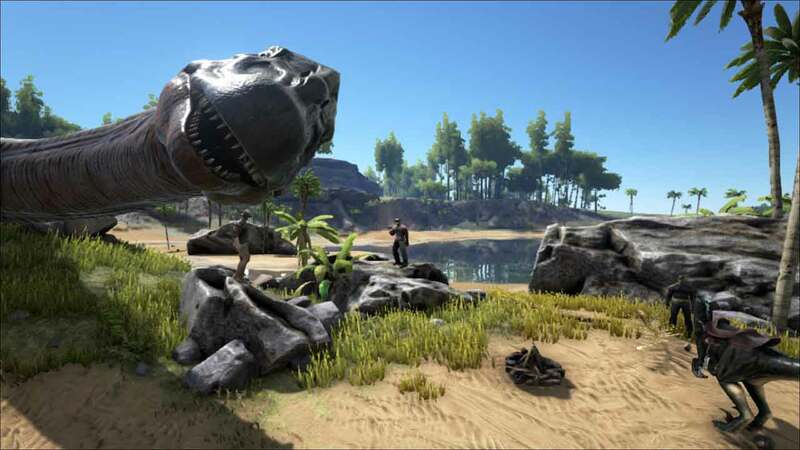 Studio Wildcard today announced that a huge content update has arrived for ARK: Survival Evolved on both Xbox One and PC with the release of the first player-created community map, The Center. Created by a member of the modding community, Ben Burkhart, The Center is now available as a free download on Steam for PC or via the ID@Xbox program for those playing on the Xbox One. Studio Wildcard launched their official mods program last year and have since seen a huge surge in submissions from the community including player created content that spans across every element of the game. From huge new game worlds to exciting new dinosaurs and deadly new weapons. The addition of The Center map doubles the size of the previous in-game island to a staggering 70 sq. kilometers in size. Current biomes are complimented with stunning lighting effects, misty islands, ancient underground caverns and much more. Today also marks the release of brand new servers able to support up to 100 simultaneous players. To celebrate the release of The Center the team at Studio Wildcard have also launched a sale with 33% off on Steam and 25% off on Xbox One.